Each time a landlord faces a problem tenant, the thought of eviction looms in the background. It’s at this point where it’s easy to make a costly mistake — by threatening or filing an eviction on insufficient grounds. Does the lease provide that the tenant can be evicted for the reasons that the landlord wants them out? If the lease does not cover the situation at hand, does the local eviction statute allow for evicting this tenant? Sometimes landlords are surprised by their standard lease language. For instance, a landlord may want to file an eviction notice for nonpayment of rent on the second or third day that it’s late. Unfortunately, the lease may provide for a five or ten day grace period. Another example is the tenant who lied on the rental application about their criminal history. Does the lease spell out whether this is a breach subject to eviction? 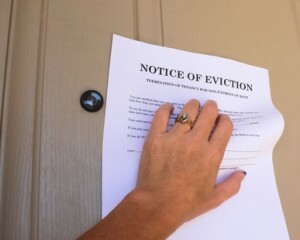 Eviction statutes generally allow the landlord an out if the tenant is not paying rent, has violated a material provision of the lease, is breaking the law in a way that threatens others, is damaging the property, or is creating a nuisance. While nonpayment of rent is a clear-cut decision — either they paid or they didn’t, what the landlord considers a nuisance a judge may not. Eviction courts will follow the letter of the law. Don’t go forward with the eviction without first speaking to an eviction specialist if there is any question about the grounds for evicting a particular tenant. Money spent there can save over losing an eviction and paying fees or penalties to the tenant who contests it. Make sure you are not singling this tenant out because you don’t like him or her, or find that you are searching for reasons to get this tenant out. A contested eviction can lead to months of acrimony, and may prove far too costly a risk in the long run. Eviction is a costly prospect, and it is always best to reserve it for those tenants who are clearly in the wrong.